The word "original" is often overused in the fashion world. 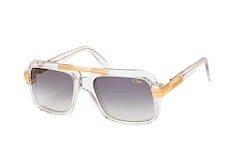 But when it comes to Cazal, no other word seems to fit. 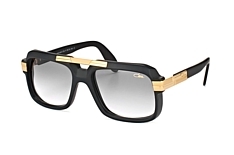 Original, individual and often over-the-top, Cazal makes no apology for standing out. This cult German brand revolutionised eyewear in the 80s with their trademark style and care-free attitude. Order online and see for yourself why this brand has so many loyal fans. 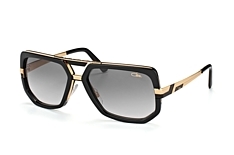 These sunglasses aren't for the faint-hearted. They are for those who don't just run with the fashion elite, but lead them. Even if you haven't heard of the brand, you will have definitely seen these sunglasses before. Editors wear them at Fashion Week. Models wear them off-duty to hide from the paparazzi. And music icons wear them as they board private jets. 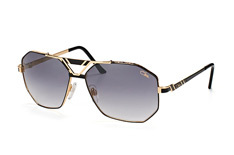 They are a favourite of the fashion world - and it's easy to see why. 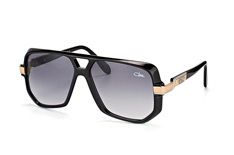 Cazal moves away from the normal cookie-cutter model of design. Instead, this brand embraces a unique approach. Cazal takes the classic square-shaped frames and distorts them by adding sharp angles. The effect? 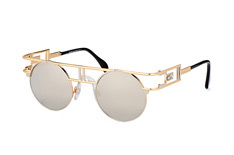 Sunglasses that feel not just modern, but completely futuristic. 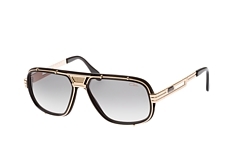 Round sunglasses are given the Cazal treatment by adding extra frames, giving them a sci-fi coolness. 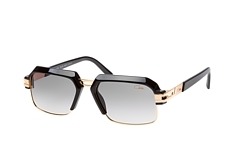 The couture frames are juxtaposed with a laid-back colour pallet. 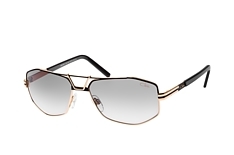 This polarity means these sunglasses stand out without being too intense. 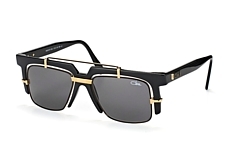 Mister Spex's current curation of Cazal sunglasses features mostly neutral colours: black, brown, olive green, with flecks of metallics. Cazal frames are made to last - so whatever life throws at you, your sunglasses can handle it. Made of metal, plastic and titanium they can withstand almost anything. 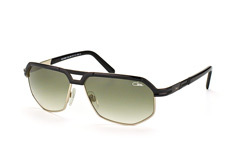 The lenses also feature UV protection, so your peepers not only look great, but they are also protected. Prescription lenses are also available for some styles. 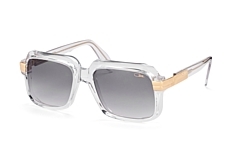 Over 40 years in the fashion industry means Cazal has learnt a thing or two. It was started by entrepreneur Günter Böttcher and designer Cari Zalloni in 1975. They were one of the first duos to understand sunglasses can be more than just a practical item, they could be a piece of art. This artist approach to design instantly separated them from other designers. 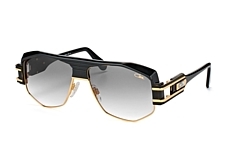 During the 80s Cazal became a cult brand in the hip-hop world. Hip-hop style has always been synonymous with street-smart opulence, so it's no wonder that the inherently-excessive brand was an instant hit. 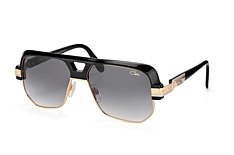 Cazal has transcended the hip-hop world and is now a formidable cult classic loved by people around the globe. 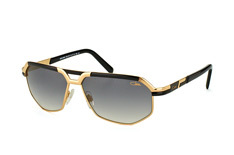 Today Cazal sunglasses are proudly sold in more than 60 countries. 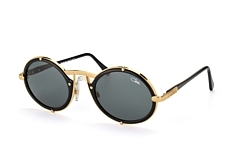 Ordering sunglasses online might seem a little counterintuitive. You might be asking: how can I be sure what they will look like? Don't worry, we have it all figured out. We've created a website that breaks the traditional online store model. We've added a face-filter tool on the left-hand side of the page. 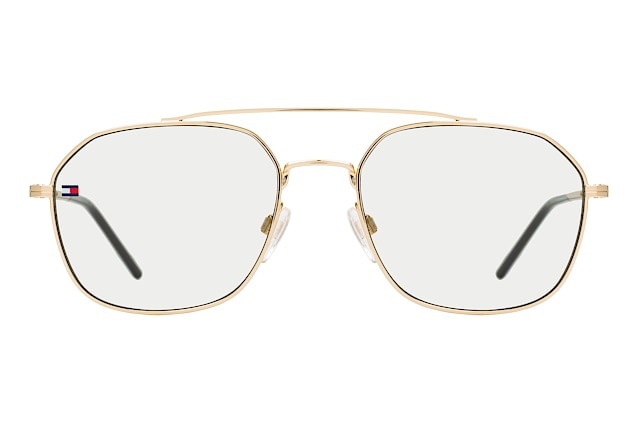 All you need to do is click on your face shape and you'll be matched with glasses that are just right for you. 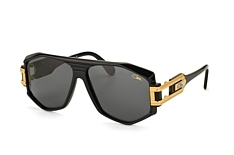 This tool is also great if you want to buy Cazal sunglasses as a gift for someone. We've also created a virtual try-on feature. 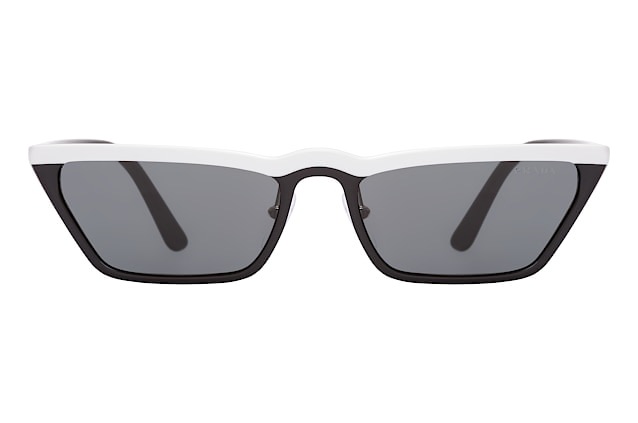 Your webcam will show you exactly what the sunglasses will look like in real life. It's so real, you'll feel like you are actually trying them on. We also offer a money-back guarantee. You can order up to four pairs and get them delivered to your home. Send back the ones you don't want, free of charge. And we offer our customers free P&P on orders over £29.00. 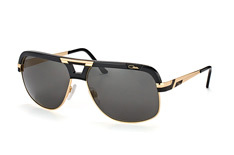 Keep it effortlessly cool and order your pair of Cazal sunglasses online today.